Cream zara jackets first appeared on Chictopia's streetstyle gallery in Spring 2012 seen on New York blogger turquoisepassion of diyainherstilettos.com. She styled her cream Zara tweed jacket with a gold Zara sequined skirt. Since then, Cream zara jackets have grown in popularity as bloggers from Izmir, New York, and Leuven have discovered them. Cream zara jackets are generally seen in romantic, chic, and trendy style. Popular types of Cream zara jackets are collarless jacket, fuzzy warm, tweed, sleeveless, and boucle. 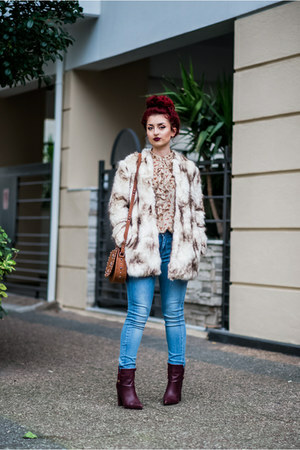 There are currently 19 streetstyle photos of bloggers wearing Cream zara jackets. 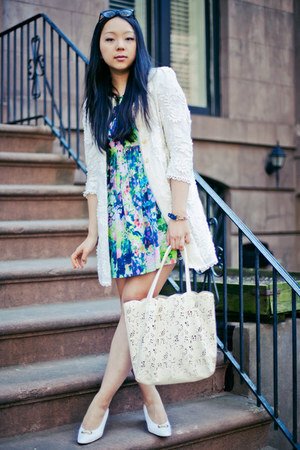 Most recently, blogger turquoisepassion of diyainherstilettos.com styled her cream Zara crochet jacket with a blue floral dress, ivory lace bag, and white vintage pumps.